I am surely dating myself here when I confess that I had me one impressive collection of slap bracelets circa 1989. They were about a buck each at CVS as I recall, and it was nearly as savvy an allowance expense as four games of Donkey Kong or a few cans of New Coke. So of course I was giddy to see that the slap bracelet is back – and it’s gone techy. of the price which is $24.99. 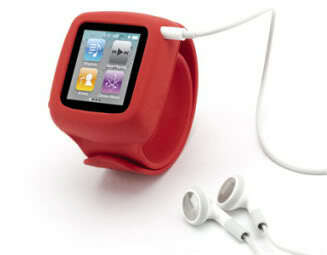 Nab the Slap for iPod Nano from Griffin.